En el marco de Cloud Incubator Hub las startups desarrollan la labor técnica en la creación de sus productos tecnológicos de forma paralela a su formación empresarial, a través de los seis primeros meses evolucionan formándose en distintas áreas a las que tienen la oportunidad de asistir para la adquisición de nuevos conocimientos, entre ellos destacar talleres de iniciativas empresariales, talleres de Android, cursos de iOS, Planes de Negocio etc. Las startups de Cloud Incubator Hub, están reunidas en un ambiente de trabajo colaborativo –coworking– con la infraestructura necesaria para actuar como empresa, disponen de una pequeña biblioteca de consulta y del mobiliario y material telemático e informático necesario para la realización de su proyecto con éxito. La ubicación y el entorno geográfico, uno de los más maravillosos del mundo, logra que su estancia durante los seis meses de permanencia sea eficaz y productiva. Por supuesto las distintas startups evolucionan con el apoyo de sus tutores, mentores y todo el staff de Cloud Incubator Hub, que les ayudan y les orientan día a día, para lograr la constitución de su empresa y consolidación posterior. Appopulus develops technological telecommunications systems for operation or for sale to third parties, and also applications for mobile devices. Their first product S-Remote Control is an App, available from Play Store that can be used to control devices through the WIFI/3G network. Appopulus are currently also involved in a project to foster tourism in La Manga del Mar Menor by means of an App Guía Dos Mares La Manga, which enables users to visit this wonderful corner of the Region of Murcia and enjoy the tourist services on offer. The App contains GPS coordinates for over 700 commercial establishments, plus other places of interest to tourists visiting La Manga. This application keeps users up to date on all new developments and products or services that commercial establishments are offering customers. BrainGAPPS develops applications and multi-platform micro-applications (iOs and Android smartphones, tablets and iPads, smartTVs…) and creates innovative gadgets. During its short lifetime it has developed a considerable number of Apps for Android, all available from Play Store , which have attracted numerous downloads. Their first application was dubbed San Valentín 2012 in reference to the date of publication and the contents. Its success led to the launch of a whole saga of Apps based on similar themes: Love Cards, Love Cards Pro Version and Memes Cards. Following this series, the team decided to go for a betting application, Betting&Trading Calculator, , which helps players make more from betting on sporting events. They are currently working with artists and art galleries on projects related to Augmented Reality. The first fruit of this work is the application Rosana Sitcha ARte. They are working in conjunction with the team from the Startup GiipKapps, who convert all BrainGAPPS’s Android Apps into applications for iPhone/iPad. 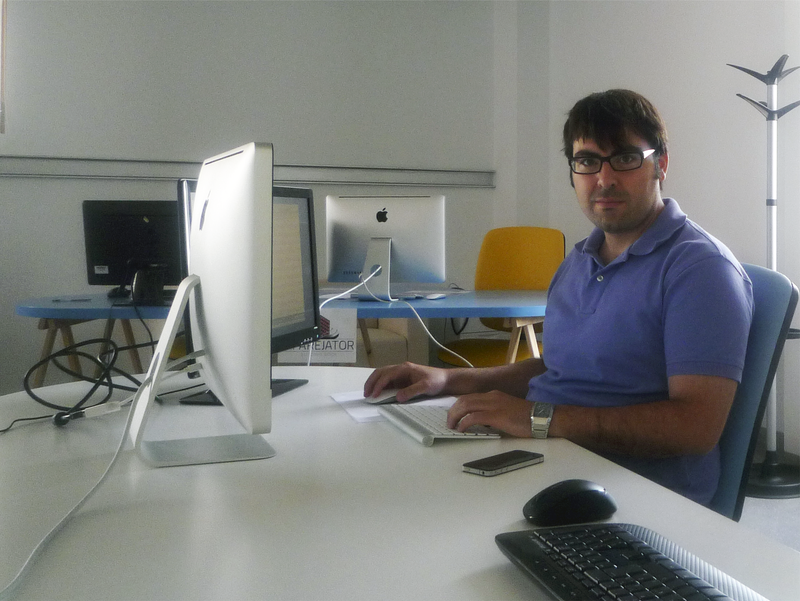 At the same time, the BrainGAPPS team is also working with the Emergency Control Systemin the town of Lorca to develop applications for mobile devices. 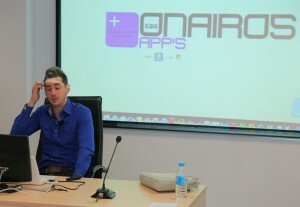 CompraActiva is a startup that came to notice at the Murcia Startup Weekend, where as winners they were selected for Cisco’s Inlea Foundation programme “Link to Start”. This is a highly attractive project which enhances a person’s shopping experience in a mall, by establishing a direct link between the user and the mall..
GiiKapps is the most recent Startup in Cloud Incubator HUB. Their idea in starting with us was to learn how applications for mobiles, and particularly iOS, worked and how to develop them. 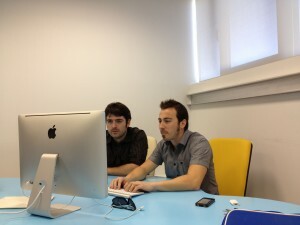 After learning about Cloud Incubator HUB, they decided to join up and develop their own ideas for Apps. For the moment they are carrying the Apps made by their colleagues of BrainGAPPS (Memes Cards, Love Cards and Betting&Trading Calculator). GiiKapps has specialized in the development of Apps for devices based on iOS (iPhone and iPad), using the Xcode development environment, specifically version 4.2 and later, where ARC (Automatic Reference Counting) is used to manage memory and Storyboards for the design of the interface and the App’s flow. All this rests on a solid foundation of object-oriented programming, especially Objective-C. In the team’s own words, what they are getting from their experience in the Cloud Incubator HUB is a set of values applicable to both professional development (responsibility, capacity for abstraction, team-working, top-level cooperation, etc.) and personal development (breadth of horizons, satisfaction with results, personal experience and so on). KRC Creativos is an undertaking in the business of providing marketing, graphic design and advertising services, which approached Cloud Incubator HUB with the intention of creating another undertaking to engage particularly in the development of Apps and digital contents for Smartphones, tablets and SmartTVs. KRC currently have the application Mediterranean Light House in the App Store, commissioned by Cartagena Chamber of Commerce, and they will shortly be presenting an application involving several hundred undertakings. 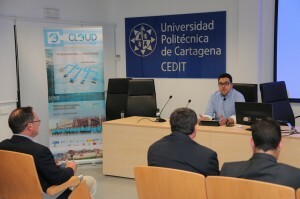 In Cloud Incubator HUB, KRC are developing a social network (iUniversidad) which will enable students to share and obtain academic information on a hierarchical basis. At the same time, the network will provide basic information about towns and necessary information points for students. It will also make it easier to find flat-mates or travel companions. ArtyBeer is an exclusive community of craft beer lovers. Anyone who wants will be able to join the community, and for a small subscription fee you will have access to the country’s largest and most select craft beer data base. The fee also entitles you to access the community’s social network, where you can see your friends’ tastes and preferences, and their recommendations; you will be able to contact a master brewer who can help you make your own personalized beer; and you will be able to buy beers and accessories that are not to be found anywhere else, as well as travel opportunities and exclusive promotions. ArtyBeer was the winner of Startup Weekend 2012, held at the Murcia CEEIM, where a highly-qualified jury selected it as the most innovative idea. Lurestore are developing an m-commerce (mobile commerce) platform which will raise businesses’ profiles and showcase users’ experience. 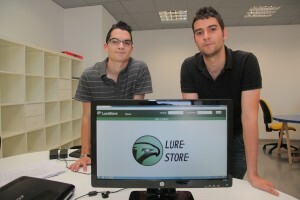 Lurestore intend to set up a direct, two-way line of communication between business and customer. The owner of a business will be able simply and flexibly to configure a virtual space for that business—from very basic details up to a list of products and services arranged by categories. Once it is configured, the business will automatically be open to customers, who can access all businesses via the same App—a major advantage over conventional systems. Customers and users will be kept permanently up-to-date on all novelties/products/events brought out by the owner of the business, by means of a subscription system that sends out notifications whenever there is any new development. Starting from this basic idea there are a multitude of additional functionalities targeting particular sectors, which set this service apart from anything that has been on offer until now. Mileyenda is a social network for sportspeople, an application for the organization of events and championships, and a platform for services to third parties through an API. Quite simply, we cover the whole spectrum of sport online. First and foremost, Mileyenda is a social network for sportspeople where anyone can create their own personal profile or groups of people, set up matches, publish lists of results, award medals (gamification) based on the results of each match, send invitations to and search for rivals, search for matches in the area where you live or work, and publish local, regional, national and world rankings. In the second place, Mileyenda has an application for the management of leagues and championships. And finally, Mileyenda offers a services exchange API for third-party applications and other webs. Onairos aim to develop avant-garde ideas with the help of Smartphone technology to solve problems that a technician may face on the job, but also extending them to civil engineering and industrial contexts. In between projects, they also propose to launch small applications that will make them known in the world of applications. TBA is a small independent video game development studio located in the Region of Murcia. We are currently working on mobile applications for several platforms, such as iOS and Android OS. Our aim is to create high-quality, innovative and entertaining games that anyone can play.